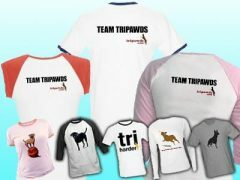 You can’t miss the cool Tripawds t-shirts that show the world your Tripawd Pride! 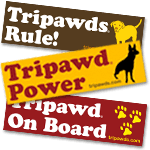 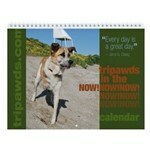 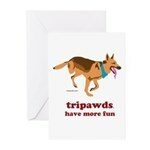 Shop the Tripawds gifts selection at Cafe Press. 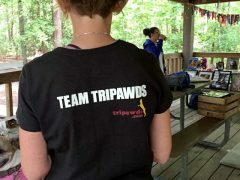 Show your support for three legged dogs at canine cancer walks and dog events with new Team Tripawds t-shirts and jerseys featuring the most popular three legged dog designs!